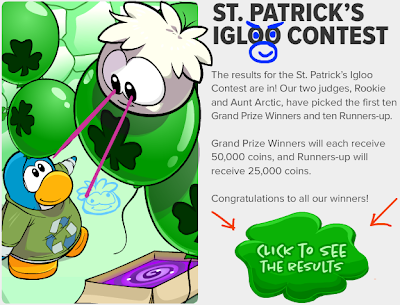 Club Penguin Cheats by Mimo777 Club Penguin Cheats by Mimo777: Club Penguin Super Foolish News! Your Right! That is the funniest newspaper ever. P.S. Wear the new purple propelor hat and the box suit (Nothing else but these 2) and dance the box will close but the propelor will fly! rookie wasn't giving out classified information. he put a red sign on the poster. i don't know why you think thats giving out classified information? I just found a new glitch and thought I'd show you. If you are wearing the purple propellor hat and the bow costume and dance, the hat will fly but you will be inside the box! Go to Clubpenguin and go on a server. This only works if you log on and the room you log on in is full. It will come out with a map, and if you click the X button, you will see lots of weird stuff! You will see the playcard button going member badge star badge fast and the playercard, lots of stuff! I can't belive club penguin is taking away the portal boxes! 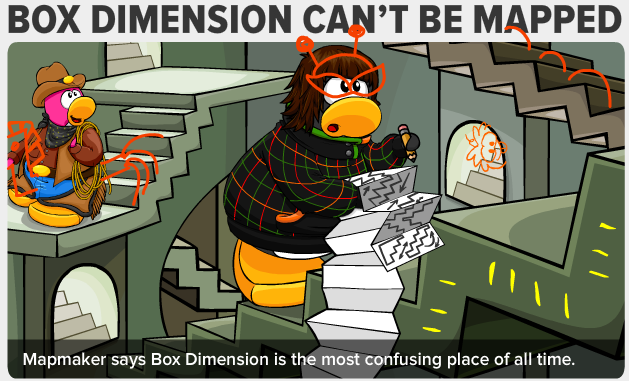 they just give us some cool new rooms and now they are going to take them away cuz some strange penguin cant map them? they should ask me to map them cuz ill do it right. 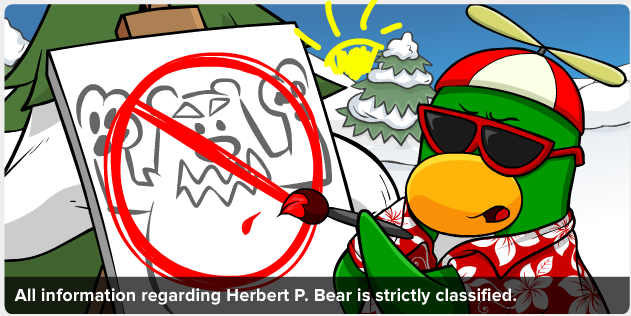 I think the red sign meant that Herbert was bad or something. Plus, its is classified for people that didnt join the EPF. People would be reading the information when they dont really know what its about. click on rookie a joke will come up it says what does herbert have for dinner? A veggie Brrrr Grrrr because he's a polar bear he's a vegetarion and he's cold. u can press time on the isde and it comes up as rookies joke! Oh goodie! 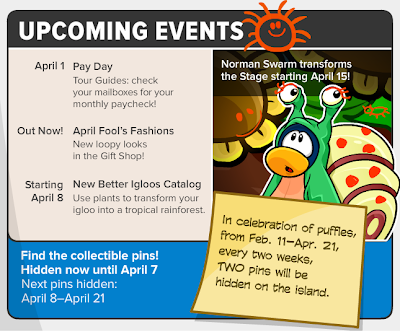 It looks like we get a snail costume for the next play. if you press the circled word " time" on the newspaper on the front page, there will be a joke that Rookie says! And also if you click on that rookie and herbert picture. There is a question too! 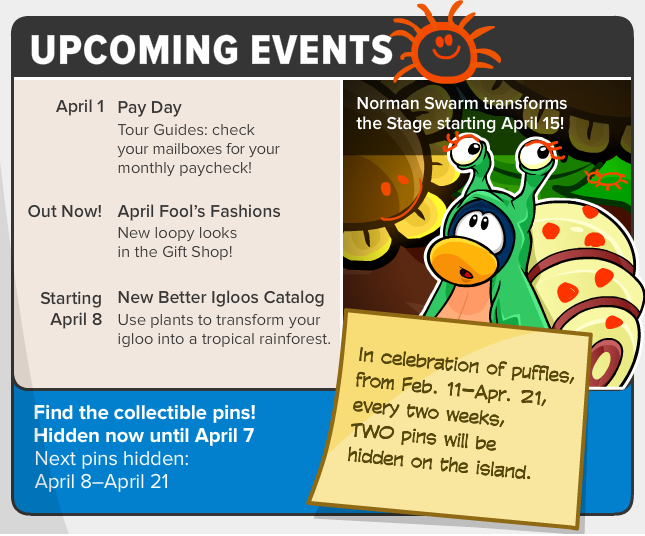 If you click on the snail for the Club Penguin newspaper, something will pop up from Rookie!! Hey Mimo,if you rollover your mouse at the "Box Dimension Can't Be Mapped' it changes into 'Headline Grub Grub Headline'! oh THANKS FOR PUTTING UP MY OWN NAME AS AWINNER ITS A HONNER MIMO777 IM UR #1 FAN!!!!!!!!!!! !